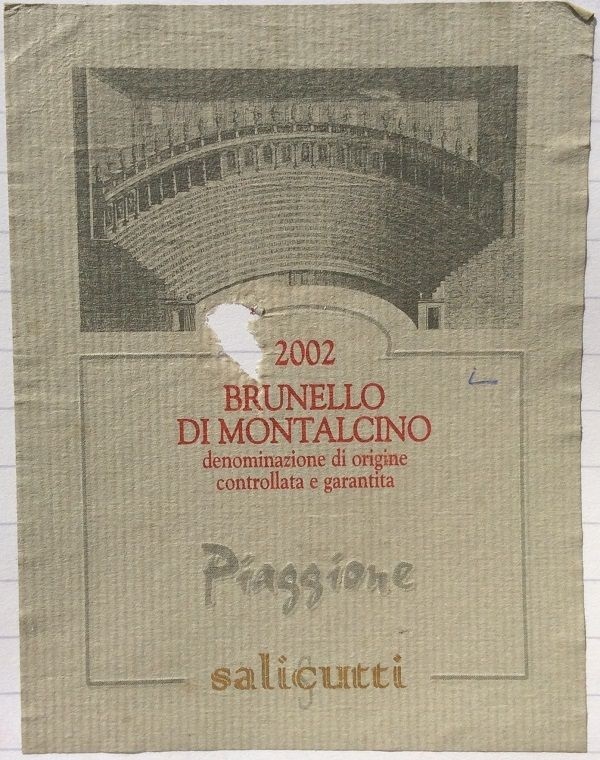 On from my Hors Concours case, and yet another ‘almost’ wine – on paper at least: a Brunello di Montalcino, yes, but from one of the worst vintages for a long time. And so it proved, when SJ and I cracked it one evening. A well-made effort, suggesting a good producer – but ultimately a pretty light-weight example, both in colour (mid-cherry) and in palate-weight & length. Quite classic nose though, with red cherry notes, alongside some distinct dry-herb aromas. Tannins not too pronounced or rough, from a year risking underripeness.